It’s that time again in New Orleans and we’ve been planning a few things. On Wednesday, May 3, we’re back inThree Keys at Ace Hotel New Orleans for another full day of programing as part of their Six of Saturns New Orleans Series, presented by Worldwide FM, Vinyl Me, Please, We Transfer and the Preservation Hall Foundation. There will be daily interviews with Giles Peterson and live broadcasts of every performance on Worldwide FM, so those of you around the world can catch the shows from the comfort of your couch! Detroit Soul Singer Extraordinaire, Spyder Turner and Original Swamp Blues Legend Lazy Lester, also a former longtime Detroit Resident, bring a different flavor to New Orleans accompanied by Lafayette Blues Man and Stomp Secret Weapon, Lil Buck Sinegal and his Buckaroos, for “Ride in My 225,” named after Turner’s Buick inspired single. DJ Brad Hales of Peoples Records Detroit will be in the lobby lounge in between sets with local DJs Swamp Boogie and Maximillion kicking things off with Happy Hour starting at 5:30pm. 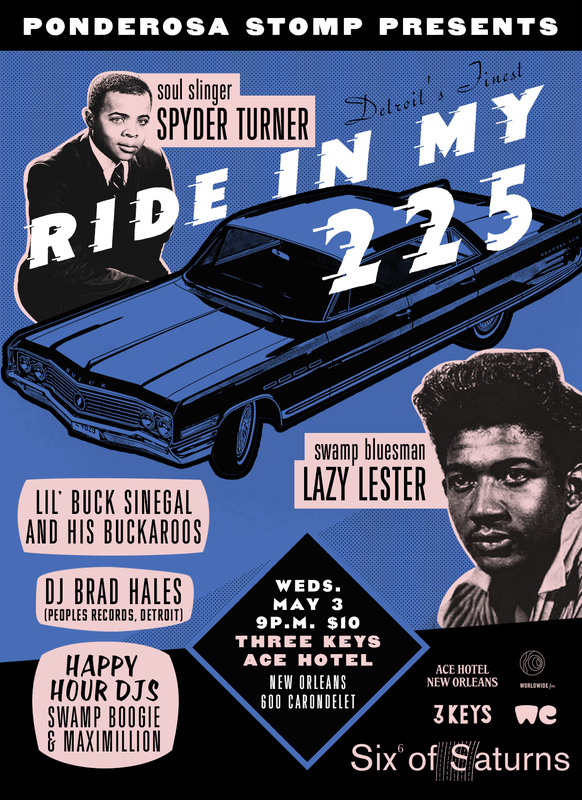 Doors for Spyder Turner and Lazy Lester are at 9pm on Wednesday, May 3rd, the original Stomp Wednesday between New Orleans weekends, for Ace Hotel New Orleans’ Six of Saturns Series in Three Keys at 600 Carondelet Street. Advance Tickets to the Three Keys Show are $10 and extremely limited, so grab yours now! If you can’t make it to the show, catch the live broadcast on Worldwide FM. New Orleans Legends: From Fess to Fats is a unique collaboration with Joe Lauro (The Big Beat: Fats Domino & the Birth of Rock ‘n’ Roll and Louis Prima: The Wildest) of Historic Films sponsored by Ace Hotel New Orleans and the New Orleans Film Society. The never-before-seen rare archival performance footage was compiled especially for the Stomp and Ace Hotel and features Professor Longhair, Fats Domino, The Meters, Lee Dorsey, Frogman Henry, The Dixie Cups, Champion Jack Dupree, Mahalia Jackson with Mavis Staples, Dr. John, Louis Prima, Sweet Emma Barrett and more. There will be a Q&A to follow the film featuring filmmaker Joe Lauro, Dr. Ike and New Orleans Music Historian Ben Sandmel moderated by New Orleans Film Society program director Clint Bowie. 2pm on Wednesday, May 3rd Advance Tickets are $5. 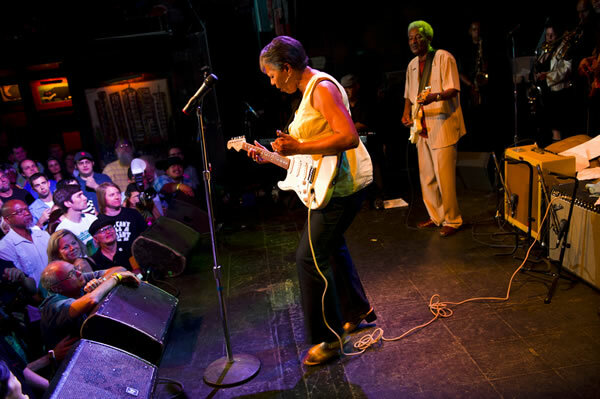 On Sunday, April 30 Lil Buck Sinegal and his Blues Band with Special Guest Barbara Lynn will hit the Blues Tent at 1:20pm. Afterwards, at 4:30pm catch Paul Sinegal and Barbara Lynn in an intimate interview on Gulf Coast Blues and Swamp Pop Guitar moderated by senior Rolling Stone editor David Fricke at the Allison Miner Jazz & Heritage Foundation Stage. 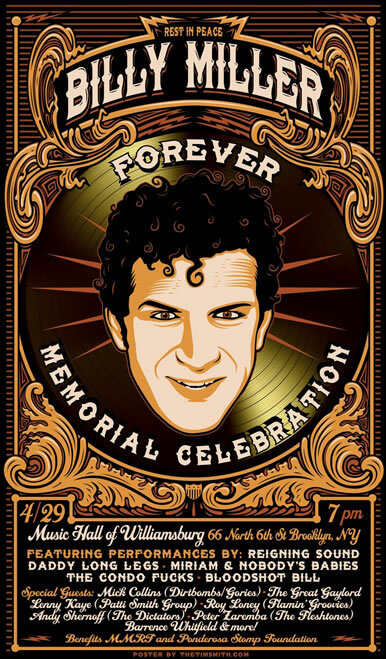 Billy Miller Forever is a celebration of the life and legacy of longtime Stomp Friend and Norton Records Co-Founder who passed away last fall. The April 29th Show at the Music Hall of Williamsburg benefits The Ponderosa Stomp Foundation and MMRF and features Reigning Sound, Daddy Long Legs, Miriam & Nobody’s Babies, The Condo Fucks, Bloodshot Bill and the 5.6.7.8’s with Special Guests Mick Collins, The Great Gaylord, Lenny Kaye, Roy Loney, Andy Shernoff, Peter Zaremba, Barrence Whitfield and more. Advance Tickets are $25, Tickets at the Door are $30. 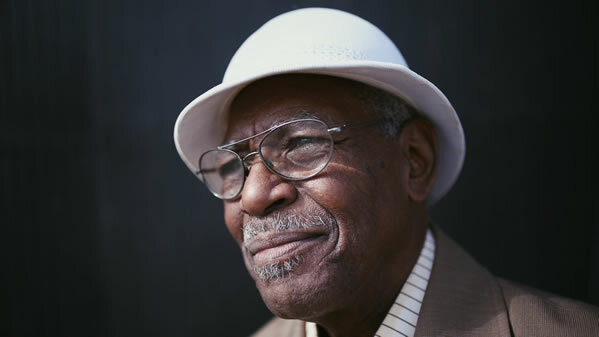 The Ponderosa Stomp is teaming up with New York Night Train and Todd Abramson to present Don Bryant featuring The Bo-Keys at Baby’s All Right in Brooklyn on Tuesday, May 16, 2017 at 8pm. Tickets are $20.